Look at your desktop and pass through the events of your life! 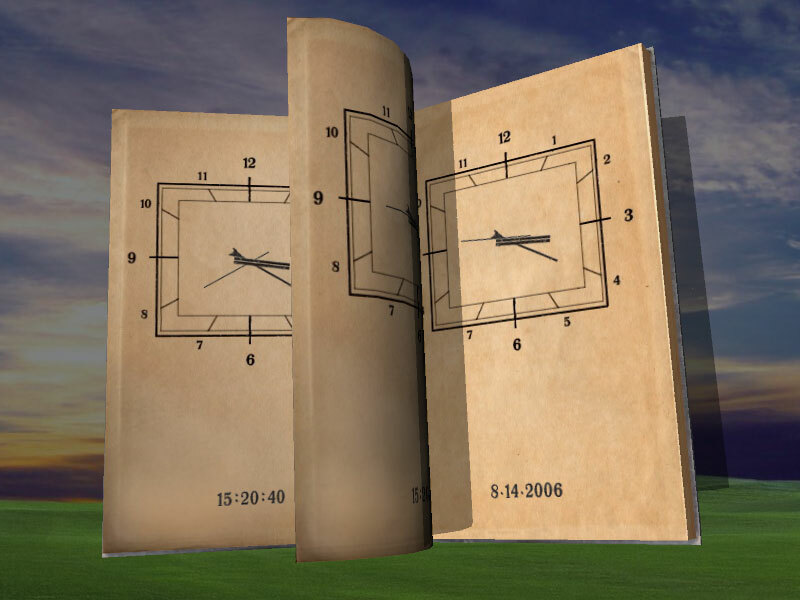 Decorate your screen with this amazing Clock Book screensaver. Made in true 3D, it presents a new philosophic approach to the clocking process. You will see the book that fixes the moments of our life on each page. On one page, it shows the past; on the next, the future comes. Where is the present then? Install this screensaver and try to find out your own answer to this question. Just behold the enigma while the time is turning over on the old book pages. Look at the book and pass through the events of your life! * This SOFTWARE is freeware. You may install and use this program for free. * You may not alter this SOFTWARE in any way, including changing or removing any messages or windows. * You are hereby licensed to make as many copies of the freeware version of this SOFTWARE and documentation as you wish; give exact copies of the original freeware version to anyone.